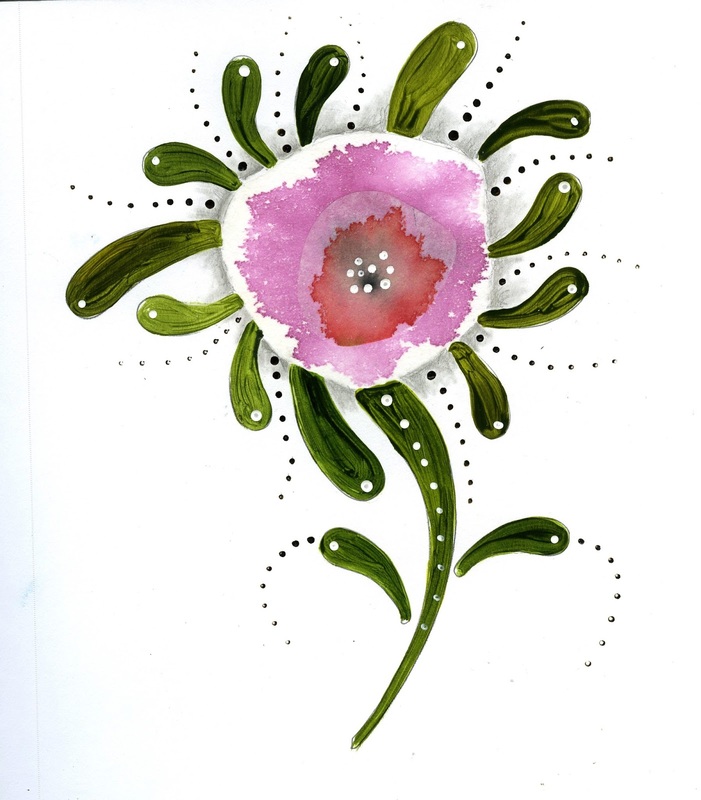 I am taking a lovely little class with Carla Sonheim called Flower Crazy 2. The class is just what I needed right now. Nothing too heavy or stressful, just a fun class to learn some new techniques. Flowers are my go to anyway for the least stressful subject matter. We learned how to use a new paper (well new to me anyway) called "Swedish Tracing Paper." I had never heard of this before but it is really nice to work on and very serendipitous. You just don't know what the watery mix of paint will do but it is sure to be a lovely surprise when it dries. The center of the above flower is made using this paper. This one was made with the same paper but I added one of my own hand cut stencils behind them. Things here are still extremely stressful but taking these classes really helps me keep my s*** together. We are also due for a trip out to Arizona in 2 weeks so that will be a nce thing to look forward to. The desert will be in bloom by then. Always a wonder! I adore these flowers, Roberta! They are stunning. So sorry life is (still) hell for you, poor thing. But I'm so glad you are finding solace in your art - that's what art is for, after all. I miss you and think of you often. Big hugs & kisses! - L.
Always enjoy seeing your art work. I wonder if that paper would work in an art quilt? I'll have to check it out! Two weeks will fly by and you'll be looking at beautiful vegetation!